WHO IS THE Anti-Messiah also known as THE Anti-Christ? The Anti-Messiah (also known as the Anti-Christ) is and will be the ONLY BEGOTTEN SON OF SATAN! Over the years, Satan copied YAH (GOD)’S creations, for example, he copied THE HOLY TRINITY GODHEAD by creating The Unholy Trinity which will MANIFEST mostly in the Great Tribulation / Time Of Jacob’s Trouble! The Anti-Messiah will declare that he is Jesus Christ/Yeshua (in every language on earth), the Son of God when he is revealed! The name of the ONE AND TRUE LIVING MESSIAH was changed from “YAHUSHUA (also written as YAHUSHA / YAHSHUA) HA MASHIACH” to Jesus Christ, Yeshua, etc for a purpose that will be fulfilled in the Tribulation. In order to understand the Anti-Messiah, one needs to understand THE ONLY BEGOTTEN SON OF YAH who is YAHUSHUA as seen in John 3:16. There are many things that YAHUSHUA is, did and does, that the Anti-Messiah will copy from YAHUSHUA HA MASHIACH. It will be easy to be fooled and deceived if one lacks the RUACH HA KODESH discernment in these end times. CONSTANTINE, THE ROMAN EMPEROR who claimed to have converted from paganism to the very Christianity he started. The above mentioned persons are all family members in one way or the other as they love Ba-al/Bel/Ra Worship. They supported Babylon/Tower Of Babel. While on earth, they made themselves gods and thereafter asked the people in their kingdoms (under their rulership) to worship them. The Jewish people always opposed them. As a result, they persecuted the Jewish people. They are SHADOWS OF THE Anti-Messiah! Their current descendants are trying to re-create the Tower of Babel all over again on earth. This is called the New World Order which includes: the World Peace, One World Religion, One World Government, One World Language, One World Leader, etc. Hollywood (a.k.a Hellywood,) and most, if not all the Mega-Churches on earth are two of the many instruments being used to produce the Tower of Babel all over again. Also Hollywood (a.k.a hellywood) is being used. Sadly, the Orthodox Jews are falling for the One World Government arrangement. Also, STUDY about HITLER and the HOLOCAUST that took place in Europe as HITLER was a TYPE OF ANTI-MESSIAH who persecuted those that LOVE YAH (GOD) AND OBEY HIS COMMANDMENTS IN HIS WAY – the Jews! NOTE that YAH has revealed that The Spirit of Hitler will rise again in these last days to repeat what happened during the Holocaust in the 1940s Second World War. 6 million Jews were murdered then. This time, 666 million Jews’ And TORAH-Keeping Christians’ lives will be sacrificed. Remember that 666 is the number of the beast of the Holy Book of the Bible called Revelation. Daniel 7:25 – This SCRIPTURE has been fulfilled before in the past sometime around 313 AD (as well as before and after that date). The persecution ceased over the years when most people around the world EMBRACED CHRISTIANITY MIXED WITH PAGANISM (hidden PAGAN CUSTOMS). Sadly, it will be fulfilled again during the GREAT TRIBULATION / TIME OF JACOB’S TROUBLE. …is already in effect in Germany. Please read more about it. Further on, STUDY about EMPEROR CONSTANTINE and Christianity (313 AD) in relation to Daniel 7:25. It is important to understand how CHRISTIANITY was created as we know it today. This is because what YAHUSHUA started and created was MESSIANIC JUDAISM (not Christianity)!!! 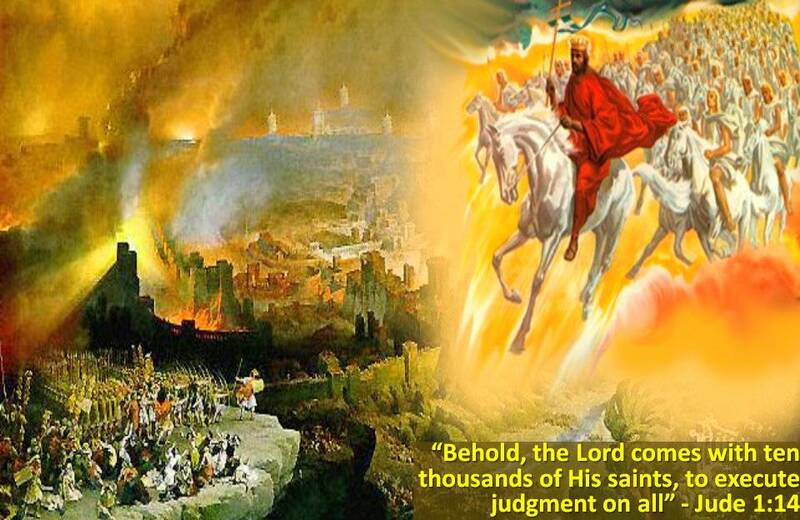 Then later in history after YAHUSHUA HA MASHIACH ascended to Heaven, the Romans changed everything. It all started after the GREEKS / ROMANS translated the BIBLE and where the name “YAHUSHUA HA MASHIACH” appeared, it was replaced with the GREEK / LATIN NAME “JESUS CHRIST”. Later an EMPEROR called CONSTANTINE rose to power and turned things around. Constantine became the emperor of Rome in 306, and was the most powerful person in his part of the world. His conversion to Christianity had far reaching effects on the common practice of the religion and on all the factions of Christianity that are present today. His conversion supposedly helped Christianity in many ways. Followers were safe from persecution, and Christian leaders were given many gifts by the Emperor. Constantine’s adherence to Christianity ensured exposure of all his subjects to the religion, and he had no small domain. He also made Sunday an official Roman holiday so that more people could attend church, and made churches tax-exempt. However, many of the same things that helped Christianity spread subtracted from its personal significance and promoted corruption and hypocrisy. Many people were attracted to the Church because of the money and favored positions available to them from Constantine rather than from piety. The growth of the Church and its new-found public aspect prompted the building of specialized places of worship where leaders were architecturally separated from the common attendees, which stood in sharp contrast to the earlier house churches which were small and informal. Constantine believed that the Church and the State should be as close as possible. From 312-320 Constantine was tolerant of paganism, keeping pagan gods on coins and retaining his pagan high priest title “Pontifex Maximus” in order to maintain popularity with his subjects, possibly indicating that he never understood the theology of Christianity. From 320-330 he began to attack paganism through the government but in many cases persuaded people to follow the laws by combining pagan worship with Christianity. He made December 25th, the birthday of the pagan Unconquered Sun god, the official holiday it is now–the birthday of Jesus. He also instituted celebrating Easter and Lent based on pagan holidays. From 330-337 Constantine stepped up his destruction of paganism, and during this time his mother, Helen, made a pilgrimage to Jerusalem and began excavations to recover artifacts in the city. This popularized the tradition of pilgrimages in Christianity. The Anti-Messiah is also THE WORLD LEADER that the earth is waiting for to appear and bring WORLD PEACE (a.k.a FALSE PEACE)! SEAT 666 is vacant until the Anti-Messiah is revealed in the EU Parliament / UN Parliament. The Orthodox Jews and Muslims are waiting for him. The Christians / Messianic Jews are also waiting for their own MESSIAH who is totally different to the WORLD LEADER that most people are waiting for. In order to deceive mankind successfully, the Anti-Messiah will most likely bear Jewish, Islamic and Christian qualities because JUDAISM, CHRISTIANITY AND ISLAM are the only MONOTHEISTIC RELIGIONS (believe in one God) and the main plus foundation ones in existence. They are all waiting on a Messiah of some kind to come and make things on earth better. Every other religion comes as sub-religion under them because they emanated from them. Please read the PROPHETIC WORDS BELOW concerning The Importance of the HEBREW NAMES OF GOD! “Who is like the beast? 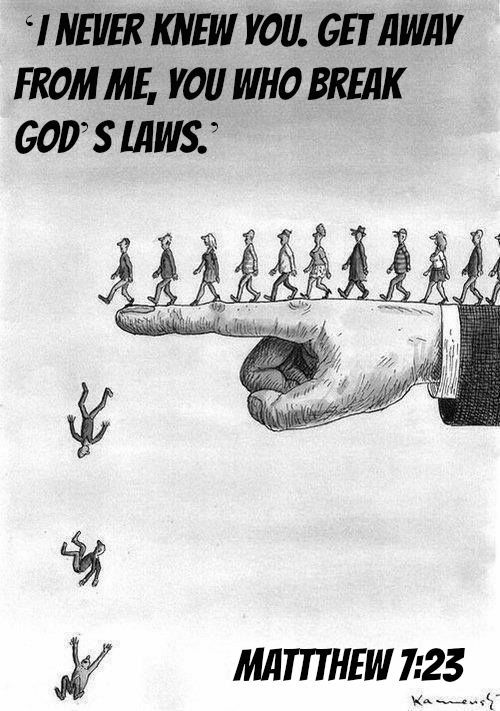 5 It was given a mouth speaking arrogant blasphemies; and it was given authority to act for forty-two months. 6 So it opened its mouth in blasphemies against God to insult his name and his Sh’khinah, and those living in heaven; 7 it was allowed to make war on God’s holy people and to defeat them; and it was given authority over every tribe, people, language and nation. 8 Everyone living on earth will worship it except those whose names are written in the Book of Life belonging to the Lamb slaughtered before the world was founded. 9 Those who have ears, let them hear! This is when God’s holy people must persevere and trust! 11 Then I saw another beast coming up out of the earth. It had two horns like those of a lamb, but it spoke like a dragon. 12 It exercises all the authority of the first beast in its presence; and it makes the earth and its inhabitants worship the first beast, the one whose fatal wound had been healed. 13 It performs great miracles, even causing fire to come down from heaven onto the earth as people watch. 14 It deceives the people living on earth by the miracles it is allowed to perform in the presence of the beast, and it tells them to make an image honoring the beast that was struck by the sword but came alive again. 15 It was allowed to put breath into the image of the beast, so that the image of the beast could even speak; and it was allowed to cause anyone who would not worship the image of the beast to be put to death. 16 Also it forces everyone — great and small, rich and poor, free and slave — to receive a mark on his right hand or on his forehead 17 preventing anyone from buying or selling unless he has the mark, that is, the name of the beast or the number of its name. 18 This is where wisdom is needed; those who understand should count the number of the beast, for it is the number of a person, and its number is 666. We are posting the excerpts from the Prophecies that refer to the Sacred Names and especially why you don’t want to use the the Name of Jesus Christ in the Great Tribulation. This is a must read. This is very important for the troubled times ahead! It is satan and his servants that fear the Name YAH, but I know MY Children’s loving hearts. I even forgave you for forsaking MY true Sabbath rest day, breaking the 4th Commandment again and again, but I will forgive this no more. Now you are held accountable for what you know. You are held accountable to warn others. There is a higher sacred anointing in the Hebrew Name of YAHUSHUA and in MY Name, YAHUVEH. Now the endtime is nigh and I warn you teach others what you now know as truth. There is more anointing in OUR Holy Sacred Names. Use them, make no more excuses. During the Great Tribulation you must call upon MY Son’s Hebrew Name YAHUSHUA ha MASHIACH. MY Name YAH is in HIS Name, the Name above all Names. If you do not learn this now, in the Great Tribulation when you pray for deliverance, or healing, and you use the name “Jesus,” remember that the son of satan will be using this name as God. How can you expect to be healed, delivered or blessed by using the same name that the son of satan will be using? You will be calling upon the son of satan and know it not. The only true healing, signs, wonders, miracles and resurrections come from Heaven, any other healing or deliverance is an illusion, and during the Great Tribulation there will be illusions that appear to be truth but are lies straight from the throne of satan. Learn now and warn others now. In the Great Tribulation only in the name of YAHUSHUA, not the name of Jesus, will true delivering, healing, resurrection power come forth. People who love and serve “Jesus” now will wonder why their prayers are not being answered their faith will suffer and they will even die for their faith, not understanding why deliverance did not come in that name. All others who deny this Word, even though they claim to love Jesus and yet refuse to learn the Hebrew Sacred Names, Sabbath, and Holy Days and feasts. They will continue to nurse on milk for they don’t want spiritual teeth to eat this Spiritual meat. In the Great Tribulation they will remember what they had read and some will repent and know this Ministry was truly Heaven sent. For MY beloved Babies, Bride, Chosen Ones and Elect, look up, your redemption draweth nigh. One way or another you will be coming back home to Heaven again. Prophecy 84 – BEWARE OF THE ILLUSION! For again I say, even the very wealthy evangelists who know this truth have sold out this truth, have compromised this truth, will lead you right into the arms of the anti-messiah, the son of satan. And they will say, “That’s Jesus Christ, that’s your Messiah, he’s come. He’s come and now peace is all over this earth, don’t worry about Hell.” Why can’t you see? They don’t want to counterfeit ME. MY Name is YAH. King James will pay. King James has paid when he blotted out MY Son’s Sacred Name. READ! READ! READ! Study and show thyself approved. It was not always King James, read the Holy Manuscripts. Read where the Hebrew translations are. Read where even the Aramaic know HIS Name. WHY? WHY? WHY will you not believe? So much suffering the Christian church is going to go through because they threw out the Messianic Jews. And you of the Messianic Jewish synagogues, I point MY finger also to you. You, who took out MY Name YAH and said, “Yeshua will do.” You didn’t want to offend the orthodox Jews. You compromised. You who call this Prophet of MINE speaking a Sacred Name user, you’re right, that’s why I anointed her and not you. You who dare to spell MY Name ‘G-d.’ What is that? What is that supposed to mean to ME? You even take away MY Deity and then you wonder, where are the miracles of old? When you read in the Word that’s been translated and they dare to call MY Son YAHUSHUA, the son of man. He was never the son of a man. HE’s the Son of YAHUVEH! The Son of YAH! When you see this in the translation, for how long now I have caused you to grieve and you have never felt peace in this and yet you explain all the translations do this. It was not by MY hand! This is by satan’s plan. Although HE was born in a human frame, although HE suffered on the cross the pain HE was never, never, never the son of man! HE’s the Son of YAH and HIS Name, even to the world proclaimed. Why do you think satan in the translation, tried to regulate HIM and give HIM the name of a man. I’ve had to allow this and at this time before the Great Tribulation the name of Jesus will stand. Oh, but in the Great Tribulation those who are saved now and have been living Holy before ME, MY spirit is within them, just as you were saved in the Name of Jesus, you’d still be calling upon HIM in that Name. And do not misunderstand ME, there is power, Heavenly power to back up that Name because of the mercy of your ABBA YAHUVEH. But in the Great Tribulation so many shall die, even though they are saved now, so many will wonder why their prayers are not answered. It is not because WE do not love them. And I do not speak of those who will go to the Sunday churches and will take the MARK, I speak to those who will call out in the Name of Jesus, who know that HE was the one that was crucified and rose again from the dead and on the 3rd day did arise. So although those whose names are written in the Lamb’s Book of Life, during the Great Tribulation, they will return to Heaven. It will mean they have to give their life but they will never, ever enter into a Sunday church or their name will be blotted out. And there will be no salvations at that time in the name of J-E-S-U-S; it will only be in YAHUSHUA. Some will say YAHSHUA. But the Name YAH will not be left out. For the anointed 144,000 will not be teaching the name of J-E-S-U-S. This is now. That will be then. I’ve given you this message to warn again. That’s just like now, that doesn’t mean all those who attend the Sunday churches do not belong to ME, are not filled with MY Spirit, but it does mean in the Great Tribulation it will not be allowed for this is where they sell out to the Beast. Do you understand? Souls are saved now in the Name of J-E-S-U-S. I anoint in the Name of J-E-S-U-S. I heal in the Name of J-E-S-U-S. I deliver in the Name of J-E-S-U-S. But that will not be then. Warn them. How could I answer them? How could MY Son YAHUSHUA answer them? When they scream out, “Jesus, help me,” and the son of satan is there, and says, “Here I am.” They will say, “Jesus save me, forgive me of my sins!” And the son of satan will say, “Here I am.” Can you not see the danger? Can you not understand? You do not know the grief that I will feel when those whose names are written in the Lamb’s Book of Life, who know better than to go to the Sunday churches will run and hide, and will have to give their lives because they will be crying out and they will refuse to say the Name of YAHUSHUA. They will hold onto what they were taught and they will say the Name of Jesus and their prayers will not reach Heaven for I will not blow them like a kiss because the son of satan will cry out, “Here I am.” This does not mean their name is blotted out. It merely means I cannot save their life. I cannot hide them. I cannot feed them. I cannot deliver them. 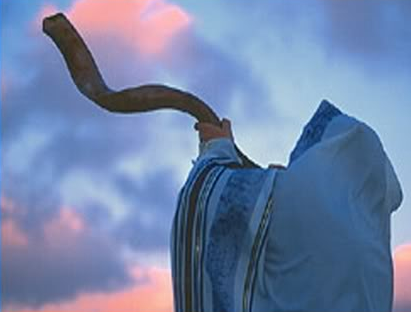 Prophecy 90 – What Is The Name Of The RUACH HA KODESH? Elisabeth, I am your MOMMA SHKHINAH GLORY. I am the one that anoints you for signs, wonders and miracles that includes prophesying and praying in Holy tongues of men and Holy Angels. I am your MOMMA SHKHINAH GLORY. I am the one that intercedes for all the Holy Children as I carry your prayers to the throne of YAHUVEH like a Kiss is blown in the air, when it is done in the Name of YAHUSHUA ha MASHIACH this also includes the name of JESUS CHRIST for now, but beware, because the son of satan in the Great Tribulation will counterfeit the name of JESUS CHRIST. I will not be able to send the prayers at that time in JESUS’ name, because the devil’s spawn will also be using the name of JESUS CHRIST. Teach now the Sacred Hebrew Name of YAHUSHUA and YAHUVEH to all who have spiritual ears to hear, listen and obey. Learn and become accustomed to use the true Hebrew name of the one most call JESUS CHRIST, now before it is too late. Tell the people don’t wait until the Great Tribulation to learn it the hard way. Yes, you can use the name Jesus Christ but why would you want too? As the Prophecies tell us, if you’re here for the Great Tribulation, the antichrist will come using the name JESUS CHRIST because the antichrist will proclaim to be HIM. In the Great Tribulation when Christians use the name JESUS CHRIST aloud in prayer, it will be the antichrist that appears and will know everything that is being prayed for. This is why now is a good time to get in the habit of learning and using the true Hebrew name the Virgin Mary (her Hebrew name is Mariam) gave to her Hebrew Baby. Please don’t misunderstand, right now YAHUVEH –who you might know as JEHOVAH the Heavenly Father, and when you see the name ABBA YAHUVEH know that it means FATHER YAHUVEH— is merciful and HE knows that all of us only had the King James Version of the Bible to learn from. So most of us learned “JESUS CHRIST”, the Greek name given to Him. I am no exception. Now I know better, because YAHUVEH gave me a Holy Prophecy saying the Messianic Jews didn’t want to offend the Jews, so they use the name Yeshua instead of teaching the name YAHUSHUA (when YAHUVEH speaks to me in Holy Prophecies this is the way HE pronounces it). (Orthodox Jews think you’re taking the LORD’s name in vain if you use the name YAH). However the bible plainly says, for instance in Psalm 91, “I will set him on high because he has known My Name”. In the Bible, the name YAH was everywhere that you read the word GOD in the New Testament and YAHUVEH was everywhere you read the word LORD in the Old Testament. The King James Bible and other versions use just “LORD” or “GOD”; these are not Names, these are titles. However, the truth is the Name of GOD, YAHUVEH, was taken out of the Bible when it should have been left in. The Orthodox Jews in error believe that the commandment “thou shalt not take the name of the LORD thy God in vain” means you can’t say the Name of GOD because some Pharisee Jewish Rabbi taught them this. To further add insult to injury the Orthodox Jews and many Messianic Jewish believers in YAHUSHUA ha MASHIACH spell words such as LORD as L-RD or GOD as G-D. When will they realize this even further takes away any validation of the ALMIGHTY Power in YAHUVEH and YAHUSHUA ha MASHIACH’S Name?! As I said, I also made the mistake of teaching Yeshua as the name for our MESSIAH. I learned through my mistakes, and when the HOLY SPIRIT had me buy an Aramaic Transliteration version of the Bible, I was amazed to see the name YAH SHUA in it and I instantly knew that this was correct, to spell our MESSIAH’S Name with the word YAH in it glorifying ABBA YAHUVEH and reminding us that YAH saves our souls through the Name and Blood of YAHUSHUA ha MASHIACH. (YAHUSHUA spoke both Aramaic and Hebrew; the New Testament would have been written in those two languages). I received a mandate from Heaven to start using the true Sacred Hebrew Name. Again it can be spelled as YAHSHUA as well as YAHUSHUA. The main thing is to never to spell it as Yeshua. We are only held accountable for what we know; there was a time I didn’t know better, still my prayers were answered and I had peace in praying in the name of Yeshua. But now I know better, and you do also. So let’s gets back to why JESUS CHRIST (the Greek name given) has no literal translation or meaning, and what the name YAHUSHUA’s literal translation from Hebrew means. 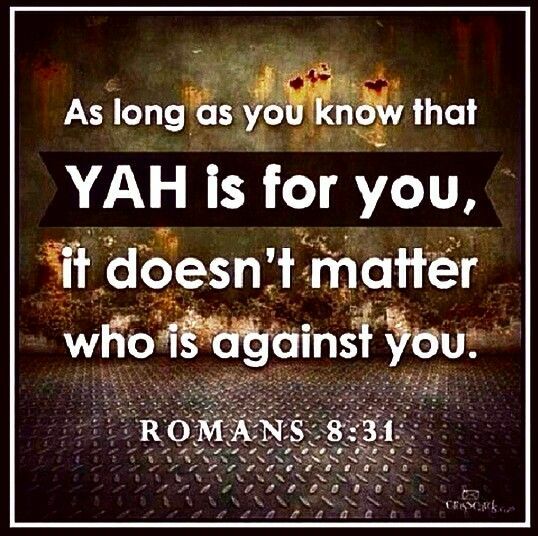 The name YAHUSHUA’s literal meaning in Hebrew is “YAH SAVES”! Isn’t that awesome? How many fathers want their sons to carry their own first names? YAHUVEH did the same for HIS only begotten Son! 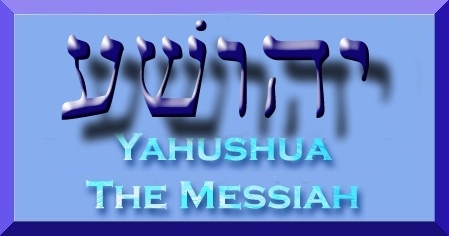 Now when you put the entire name together in Hebrew, YAHUSHUA ha MASHIACH, that translates to YAHUSHUA the MESSIAH! Every time the devil hears the name YAHUSHUA ha MASHIACH, he is reminded how he has no claim on our souls –we who accept YAHUSHUA as GOD, LORD and SAVIOUR— because of the price YAHUSHUA paid for us at Calvary, also because YAHUSHUA is YAHUVEH’S only begotten Son who is perfect in all ways, even when HE walked this earth, YAHUSHUA never sinned one time! It is awesome to think HE was in human flesh with the same temptations all around HIM, and yet HE never sinned one time, not even a sinful thought –otherwise HE could not have been the perfect sinless blood sacrifice to wash all our sins away! Yes, the name JESUS CHRIST still has forgiving, healing, delivering, resurrection power, and of course in the name of JESUS CHRIST, prayers are still answered. But why would you want to use the name of JESUS CHRIST? Once you know the true Sacred Hebrew Name of your MESSIAH, you are held accountable for what you know. Before, when you didn’t know, you had an excuse. Now you don’t have an excuse. In these end times, YAHUVEH is using this Ministry and others to teach the importance of knowing the true Hebrew name of our MESSIAH. YAHUVEH even used a heathen actor named Mel Gibson to help us reach the world as the movie script Mel Gibson wrote used the name Yeshua. Even though Mel Gibson didn’t use the true Sacred Name of YAHSHUA or YAHUSHUA he knew enough of history and the truth not to call YAHUSHUA “JESUS”. Mel tried to make this film as authentic as possible using the true names used back then. Isn’t it sad that salvation message and the importance of leading a Holy life didn’t change the heart of Mel Gibson? We cannot even conceive of the tortures satan has waiting for him in hell because of all the souls that came to YAHUSHUA ha MASHIACH –because of his movie that caused them to repent and give their souls to YAHUSHUA ha MASHIACH. We can only pray Mel Gibson watches his own movie and remembers the price that was paid for his sins at Calvary and turns from his wicked ways to live Holy and worship YAHUSHUA ha MASHIACH instead of the Catholic Church. 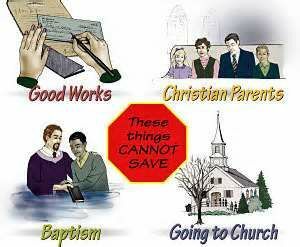 There is no salvation in a religion, but only with a loving, obedient relationship with YAHUSHUA ha MASHIACH. This happened at a time when I was going through a crisis in my life, and I was crying out for answers from JESUS CHRIST. I was praying in JESUS CHRIST’s Name and asking a question for confirmation. 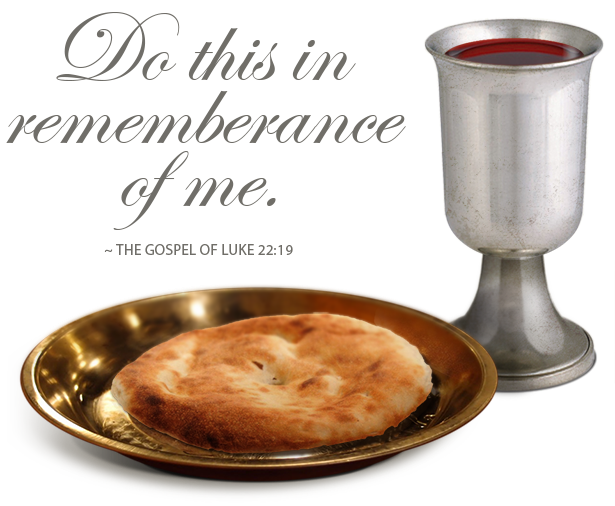 I remember saying “I know your name is YAHSHUA but I am more comfortable calling you JESUS because that is what I was taught – and even the children’s song I sing to my children is, ‘JESUS loves me— so please will you forgive me as I just call you JESUS”? Allow me to tell you a true story about how I learned that I am now held accountable for what I now know and there is no more excuses for me praying in the name of JESUS CHRIST instead of HIS True Hebrew Name YAHUSHUA ha MASHIACH (also can be YAHSHUA ha MASHIACH). I usually add “ha MASHIACH” because it isn’t just HIS first name –it is also HIS main Title describing who HE is: the one and only MESSIAH. I was taught long ago by YAHUVEH and convicted when the Holy Prophecies were posted on the Internet. We capitalize Names in the English language for humans. But isn’t GOD ALMIGHTY worthy of more than that? The HOLY SPIRIT taught me to capitalize all the letters of their Names and even if I am using the word GOD. This shows that I honor YAHUVEH, YAHUSHUA ha MASHIACH, and the Precious RUACH ha KODESH (HOLY SPIRIT). And it doesn’t matter to me whether people understand that. It isn’t because I don’t ‘know any better’. It is because I do know ALMIGHTY ETERNAL ANCIENT OF DAYS, HEAVENLY CREATOR of ALL deserves this act of high respect. Do what you want but this is my conviction and I cannot write it any other way. Also you will never see me capitalize the word devil or satan for they do not deserve that respect even if it is in the beginning of a sentence! Maybe reading this will help you to realize why you won’t have an excuse not to use our MESSIAH’s true Sacred Name either. I spell and pronounce the name YAHUSHUA now because a ministry partner had a dream and in that dream he was pointing to the sky and saw YAHUSHUA coming on a white horse. 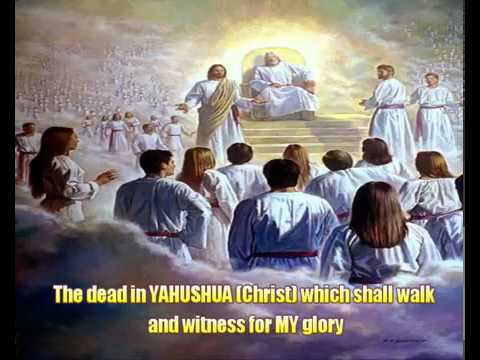 He shouted aloud “YAHUSHUA is coming! Look up YAHUSHUA is coming!” I don’t know if the dream is posted on the website but if it isn’t we need to get it there. He used to say YAHSHUA up until this dream, but after the dream he spelled and pronounced the name, YAHUSHUA. I told him I learned YAHSHUA and that is the way I would continue to pronounce it. He said he felt led to use the name YAHUSHUA now. So that is what happened and in all my writings and when I prayed or spoke the MESSIAH’S Name, I wrote and said YAHSHUA –until a new Holy Prophecy was released and the name YAHUSHUA, not YAHSHUA, came forth clearly when I spoke in Holy Tongues and it was interpreted into English. In fact, in that Holy Prophecy I was told to do what he heard. Speak and teach the name YAHUSHUA ha MASHIACH. Why, I don’t know because there is nothing wrong with the name YAHSHUA. Both names give Glory to YAH, yet I just strive to obey YAHUVEH in every way. The Hebrew word for vain in Ex 20:7 is shav’ –meaning empty, meaningless, nothingness, lying etc ie to empty of meaning. These comments by Elisabeth added on February 21, 2003I want to state something and make it clear. I was baptized in the name of JESUS CHRIST and cast out demons in the name of JESUS CHRIST and I and multitudes of others were healed in the name of JESUS CHRIST, souls have been saved in the name of JESUS CHRIST. 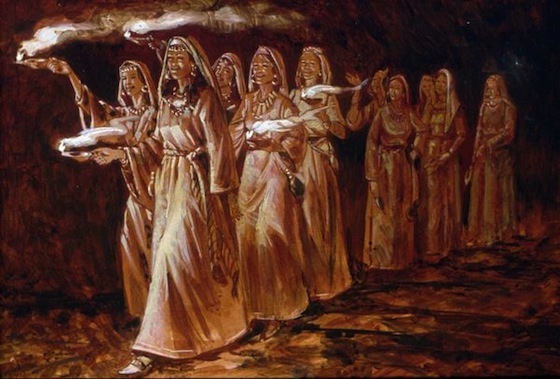 Prophetess Veronica, Brother River’s wife, also used the name JESUS CHRIST. We as the Body of Christ learned this name by the King James Bible, but if we had been studying the Hebrew Bible or the Aramaic New Testament, the name would have been YAHUSHUA or YAHSHUA. We are only held accountable for what we know. When I learned YAHUSHUA is the Hebrew Sacred name, this is when I was held accountable to use it. My name is Elisabeth Sherrie but for many years I used my middle name Sherrie, even in the Ministry. Only the last few years did YAHUVEH give me the mandate to use my birth first name Elisabeth because the anointing would be stronger in that name if I obeyed him and no longer used the familiar name I had used for many years. This doesn’t mean I am not the same person. YAHUSHUA and JESUS CHRIST are the same Person, the same Savior, the same GOD, the same Son of YAHUVEH. It is just that in these End Times we need more anointing Power and there is even more anointing Power in praying with His Sacred Hebrew name. I don’t know about others but I want more anointing, not less. Some call YAHUVEH the name of JEHOVAH. When you pray, our Heavenly Father, just like our Savior, knows who you are speaking to. Please don’t misunderstand. It took me time to adjust to the name of YAHUSHUA. Also, I have been saved for 27 years and I was introduced to my Savior with His name being JESUS CHRIST. Whether you call on His name as JESUS or YAHUSHUA, the main thing is that you call upon Him as the only name that is the intercessor before our Heavenly Father, YAHUVEH. We go from glory to Glory and revelation to revelation by the HOLY SPIRIT anointing. Some people don’t want to learn any new revelations from the HOLY SPIRIT, also called in Hebrew Ruach Ha Kodesh. They are more comfortable in drinking milk. But I am told to teach also so those that desire to eat the Meat of the Word. I am sorry if I offended anyone. Perhaps it was very early in the wee hours of the morning and I didn’t explain it well enough, why I use the sacred name of YAHUSHUA more than the Greek name of JESUS CHRIST. Why wouldn’t anyone want to use the Sacred Name of ‘YAHUSHUA’ instead of ‘Jesus Christ’ once they learn this truth? YAHUSHUA the Messiah is not Abba YAHUVEH. Modern day Christians believe that YAHUSHUA the Messiah pre-existed in some form or another. Some say he was Melchizedek, some say he was “the captain of the host of YAHUVEH” (Josh.5:14), some say he was the archangel Michael, others say he was the “angel of YAHUVEH”. Perhaps the most erroneous view is that YAHUSHUA was the “YAHUVEH” (LORD) of the Old Testament. This study is written in the hopes that all who read it will finally understand that YAHUVEH is the Almighty Creator of the heavens and the earth, and that YAHUSHUA the Messiah is His Son, as it is written. We also previously saw that YAHUSHUA said, “My Father is greater than I.” In reality he was also saying, “YAHUVEH is greater than I”, thereby teaching us that he is not YAHUVEH. Anyone who believes YAHUSHUA is YAHUVEH must also believe YAHUSHUA is the Heavenly Father. That is even more absurd and more difficult to prove in the light of scripture. 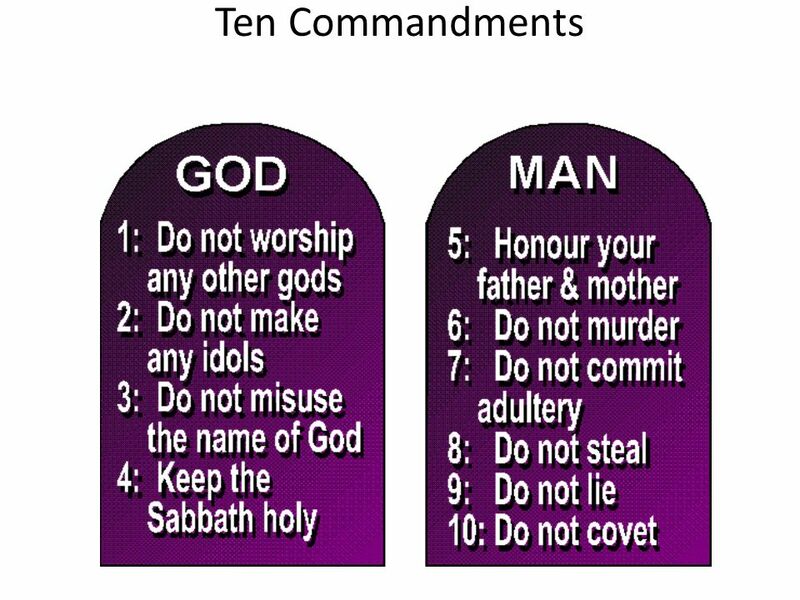 It has been declared that the Third Commandment has nothing to do with the literal name of YAHUVEH, but rather with the authority of His name. Authority is intrinsic to the Third Commandment; however, it remains impossible to exclude God’s personal name from this commandment. For example, a Roman soldier’s authority was in the name of Caesar, however, had he presented himself in the name of Nebuchadnezzar, his authority would have been nullified. New Testament Baptism was to be in The Name of the Father, Son and Holy Spirit. From the evidence provided in the book of Acts, we know that the disciples did not baptize using the formula “in the name of the Father, and of the Son, and of the Holy Ghost” (Matthew 28:19). Rather they baptized in one specific name – Acts 2:38, etc., a name that accurately represented all three. What name fulfills the conditions of the Great Commission? What choices do we have for the Father’s name? There are no Greek or English equivalents for the Father’s name, LORD and GOD are not names but are titles and Jehovah is a 16th century hybrid corruption. On the other hand, it is known that God’s personal name is YAHUVEH – shortened to YAH forty-nine times in the Old Testament. What choices do we have for the Son’s name? Given the options of Iesous (Greek), Jesus (English) or YAHUSHUA (Hebrew), which of the three can also be used for the Father and the Holy Spirit? Only YAHUSHUA. Consider the Old Testament prophecies regarding YAHUVEH that were attributed to YAHUSHUA. For example, whose way was John the Baptist to prepare? Who was to be betrayed for thirty pieces of silver? Whose side was to be pierced? Who was the stone that the builders rejected, and who was to become the chief corner stone? If your answer to these questions is Jesus, you had better look at those prophecies again! In those passages **, YAHUVEH was removed and replaced with the words “the LORD.” Restore God’s personal name YAHUVEH and it becomes immediately apparent that those prophecies were about YAHUVEH fulfilled in YAHUSHUA. Not only that, but when we use the Hebrew name of our Savior, it clearly describes not simply what some man is doing or what some prophet is doing or even what another god is doing. It describes what the GOD of gods, the great “I AM”, what YAHUVEH is doing! Our Savior was named in Hebrew YAHUSHUA because it means YAHUVEH saves. Additionally, our Savior was named in Hebrew Immanuel, meaning YAH with us, which testifies to the same.